I was sick all last Thursday and Friday so I resolved to spend my Saturday doing homework and catching up on rest. 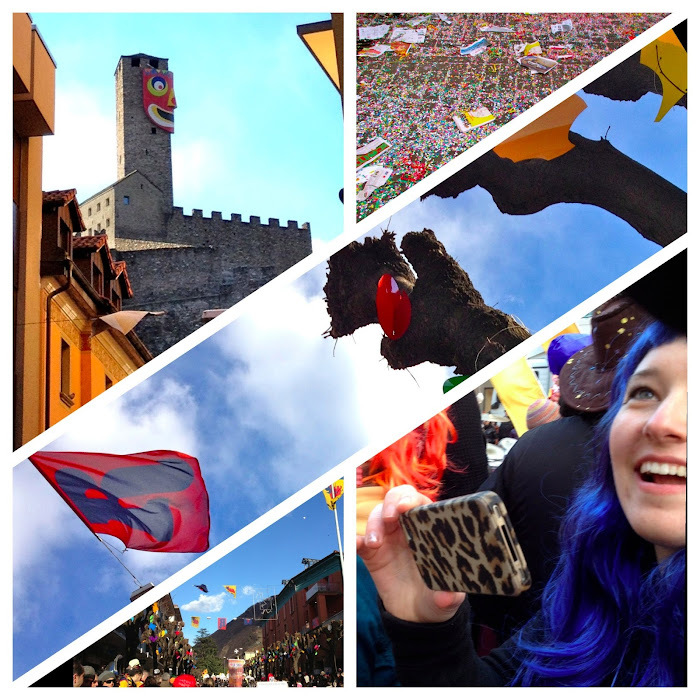 But at the last minute my friends and I hopped on a train to Bellinzona to check out the ongoing Carnevale celebrations. I am so happy we did! Straight off the train we ran into a huge group of costumed performers readying themselves for a parade! We were even lucky enough to find a front row spot where we stood in the frigid cold for over an hour watching the parade. I loved every single second of it. 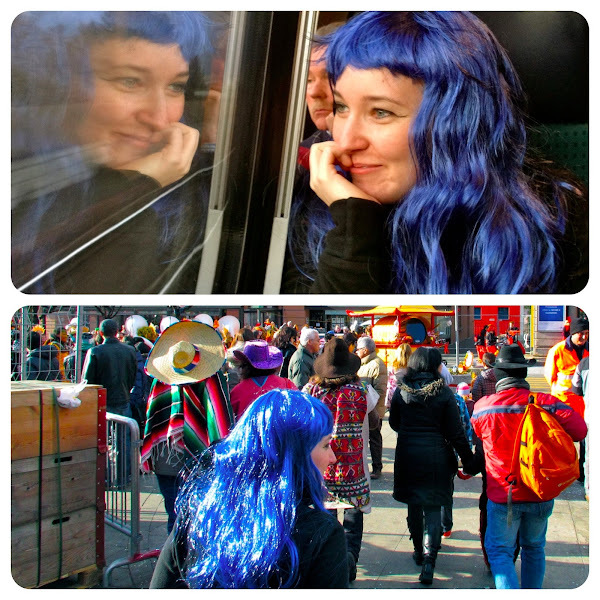 In the spirit of Carnevale I wore a blue wig and some said that I was living "the teenage dream"
One of the many"cliques" getting ready to play "Guggenmusik" in the Carnevale music parade on Saturday. 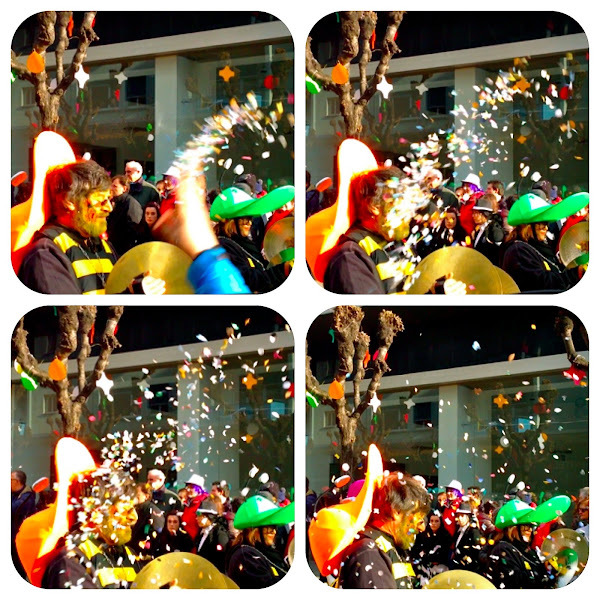 Carnevale is a five day celebration which takes place right before "ash wednesday" and the beginning of Lent. 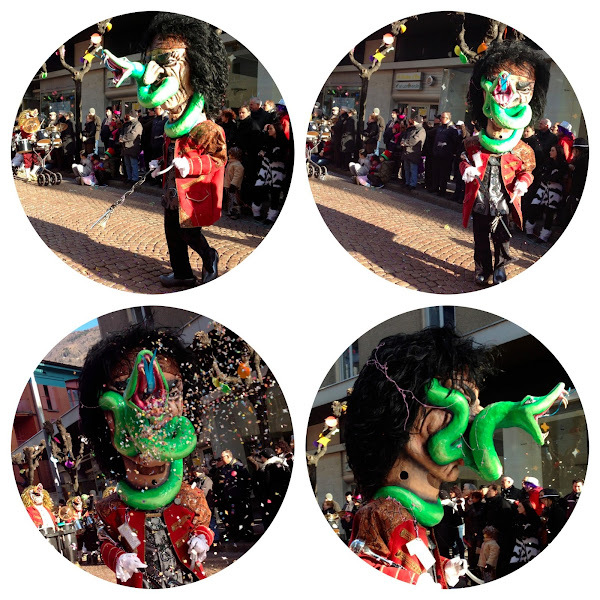 The word carnevale is of italian origin and means "without meat" which ties it back to the idea of fasting and lent. The performers were predominantly Swiss but cultures from all over the world were honored in the parade. Although not 100% politically correct, I thought all the costumes were beautiful and worn with respectful intentions of honoring the ethnicity they represented. 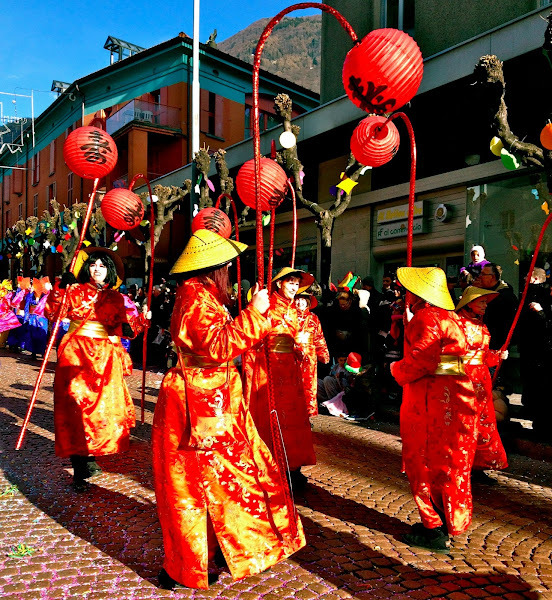 The Bellinzona carnevale traditions of costume parades, confetti throwing, risotto in the street, etc. are all unique to the italian-speaking region of switzerland. But of course some credit must be given to the influences of both the more traditional Venetian Carnevale and that of Fasnacht in german-speaking switzerland/Southern Germany. Hands down the most terrifying costume I saw in the parade, the head alone was easily 7ft tall. I got a wink from this babe as he passed by me. This is what I imagine Lion King the musical to be like. Just look at the detail in the face paint alone on these guys! So beautiful! The festive decor included flags strung between buildings, paper ornaments on trees, loads of confetti and even a giant mask on one of the castles. I couldn't stop taking pictures. Next year I hope to spend more time in Bellinzona over Carnevale weekend, perhaps taking place in the Masked Procession on Sunday + Risotto in the streets on Tuesday. 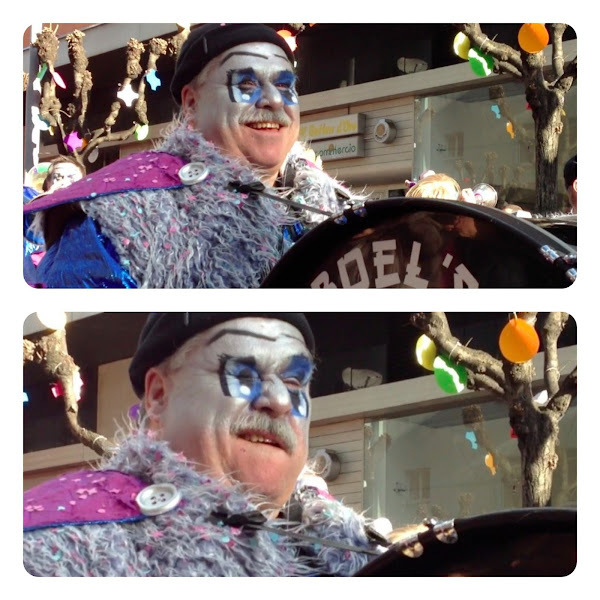 Until 2014, Carnevale you will be missed.